A total of ten titles will make up the Indie Games Summer Uprising, representing the best titles Xbox Live's Indie Games has to offer. The first eight have been chosen. Let's take a look! These initial eight games were chosen by independent developers to act as ambassadors for the Xbox Live Indie Games program to the gaming public at large. The final two will be picked by gamers during a special vote kicking off next month. 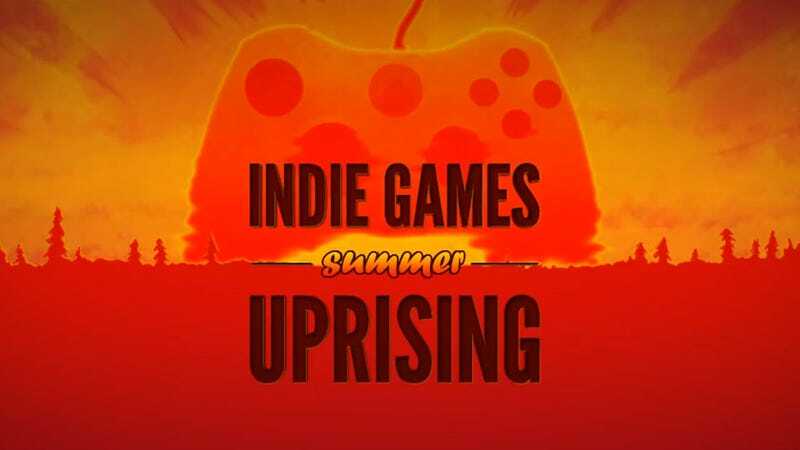 Check out what games made the cut, and then head over to the Indie Games Summer Uprising page to browse through contenders for the final two slots. Update: Somehow I wound up with the wrong list. It has since been fixed. Hooray for wrong lists. Description: T.E.C. (Tesla Energy Collector) 3001 is 3D action single player game. You are guiding a robot through a virtual space to collect leftovers of energy for human kind. There are 20 levels and each one of them brings unique challenge to the player. Player will master in guiding a robot (T.E.C.) on level through series of trials and repetitions. Use your grappling hook, walljumping, doublejumping and other acrobatic abilities to speedrun as quickly as possible across action-packed platforming levels. Gather (up to) 3 of your friends and compete in a 4-player speedrunning spectacle! With all the players on the same screen, your goal is to out-run your friends so they fall off the screen. Do so by finding the best and quickest routes and by cleverly using weapons such as your grappling hook. With gameplay reminiscent of Mario Kart and Micro Machines, you're guaranteed to have a good time! Description: Take Arms is a 2d multiplayer class-based shooter in development for Xbox Live Indie Games. Set in the near future, the world's two remaining super powers are at war, and both sides are nearly decimated. With their cities charred and ruined, each side is down to the last of their soldiers. The best of the best. The only ones able to survive. Join the fight in the final battles of this last great war! Up to 8 players can fight it out over Xbox Live or System Link with three different playable classes and three game modes (Deathmatch, Team Deathmatch, Capture the Flag). Before joining in the action online, practice it up with bots that support multiple difficulty levels and all game modes. Description: Milkstone Studios proudly presents an epic 2D adventure of glory and vengeance! Description: Train Frontier Express is a stylized what-you-see-is-what-you-get landscape building and train driving game, based off model railroading. Build a world, then drive your train and enjoy the view. Description: Flick hapless Critters around to get them safely out of each level! Dodge all sorts of lethal goodies like spikes, buzzsaws, and fire, and use a variety of wacky items to pull it off. Play through 60 mind-bending, reflex-testing singleplayer levels, 6 bloodthirsty challenge levels, and 1 murderous bucket-headed robot! Want more? Try out the local multiplayer and the built-in level editor. Description: A 2D fighting game that, though it was previously released, is coming out with a new build that hopefully fans and newcomers will enjoy alike. The game features retro-style 2D gameplay, 8 characters, and interesting mini-games as well as an original, lightly delivered story. 4. Mini-games. There are three new mini-games that offer new challenges and gameplay not offered in the previous version.